Studies around the world are showing some fantastic results treating epilepsy and other convulsive conditions with CBD! There have been a lot of studies into the use of CBD and epilepsy recently. As the legalization of cannabis rolls out across the United States, Canada and around the world, more and more scientists are starting to look at the benefits of cannabis and hemp. 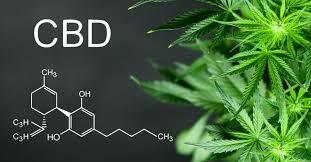 Cannabidiol (CBD) is one of the two main cannabinoids found in hemp and cannabis. Unlike tetrahydrocannabinol (THC), CBD doesn’t get you high and has no psychoactive or psychedelic properties. When it comes to CBD products such as CBD oils, CBD capsules, CBD vape oil, and other CBD supplements, one company is leading the way, cbdMD. They utilize industry best practices to ensure that all their CBD products are of the highest-quality and supply customers with laboratory backed results to ensure that they’re getting exactly what they are paying for. They have a huge range of high-quality, premium CBD products available. Recent clinical trials with epilepsy and CBD are showing that less could be more when it comes to treating epilepsy. Patients that were taking a 10mg dose of CBD experienced similar results compared to those patients who were taking 20mg of CBD. Overall, patients experienced fewer seizures compared to those patients that weren’t taking CBD. CBD has proven extremely successful in treating two extremely rare forms of epilepsy, Dravet Syndrome and Lennox-Gastaut Syndrome. While there is a lot of anecdotal evidence that CBD is proving to be a popular medicine to treat a variety of different conditions, the treatment epilepsy and seizures are one proving to be one of the most successful uses of CBD. Dravet Syndrome is particularly severe in young children, and its treatment has been hard for many children in the past. CBD offers patients the choice of a natural medication which doesn’t have many of the negative drawbacks which pharmaceutical drugs have. Patients experience very minor side-effects when using CBD, and there are no addictive qualities like many people experience with narcotic based medications. It’s recommended that before you cease any current medications and switch to CBD that you speak with your health care professional or doctor. CBD dosages can be hard to establish when you first start using it as it varies quite a lot from one patient to another. The best way to establish a dosage that suits you is to start off on the minimum amount of CBD which is recommended and gradually increase the dosage of CBD until you find a comfortable level which suits you.